I beg to thank you very much for your pretty card. I sent you a Japan news papers and which I beg of you to accept from. 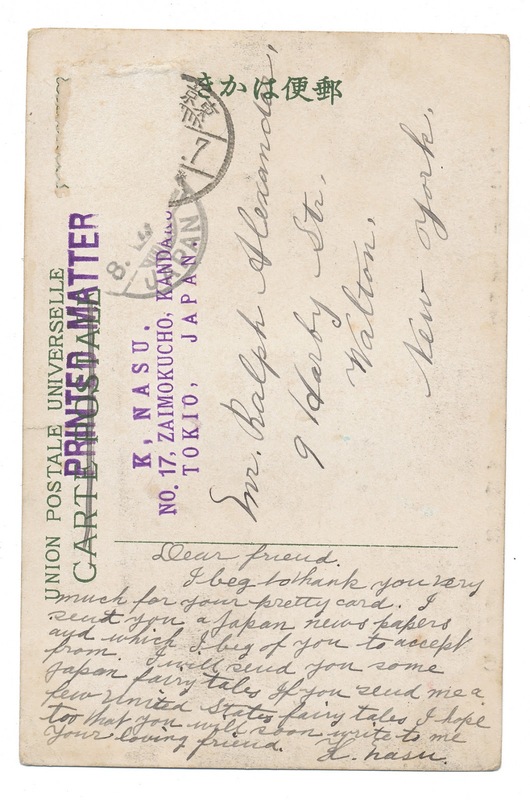 I will send you some Japan fairy tales if you send me a few United States fairy tales. I hope too that you will soon write to me. 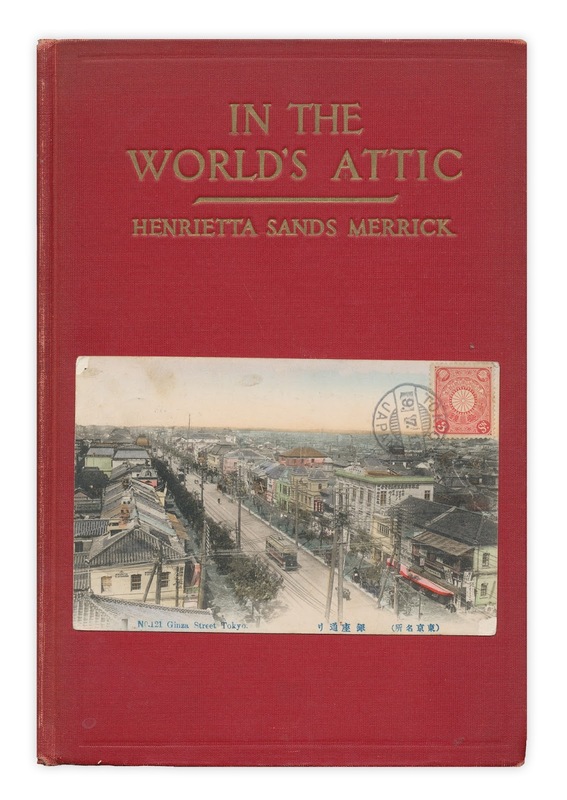 Found in "In The World's Attic" by Henrietta Sands Merrick. Published by G.P. Putnam, 1931.